Anyone who has ever flipped through a mutual fund prospectus is familiar with the warnings: Get ready to stomach seesawing stock prices. The value of your nest egg could actually drop over time. Strong past returns don’t equate to stellar future performance. And for the investor with assets in a socially responsible fund, the financial world typically adds another caveat: Prepare to give up some investment gains if you want your money to achieve your social goals. But Professor Alex Edmans of the University of Pennsylvania’s Wharton School of Business says stock performance and social responsibility don’t have to be mutually exclusive, if the criterion the investor uses for social responsibility is employee satisfaction. Edmans recently published research in which he demonstrated that publicly traded companies on Fortune magazine’s annual “100 Best Companies to Work For” list earned more than twice the market return from 1998 to 2005. That bluntness reflects that employee satisfaction traditionally falls into the “social” category of environmental, social and governance criteria used by socially responsible investment (SRI) funds. The funds use a variety of “screens,” or criteria, to determine which companies to invest in — or not. Some have a relatively narrow focus, such as those that shun the so-called sin stocks (alcohol, tobacco and gambling enterprises). Others use a broader range of screens, which may, for example, limit investment in firms involved in weapons production or animal testing, or promote investment in companies with initiatives related to climate change or indigenous people’s rights. Most of the research up to now, Edmans says, has shown a negative effect of SRI on investment returns. As examples, he points to studies showing that institutional investors in particular pay a financial price for refusing to hold stocks in alcohol, tobacco and gambling companies, and that individual investors with at least one-third of their portfolio in SRI mutual funds sacrifice substantial returns. Even for those who don’t share the either/or perspective of the stock analyst quoted in BusinessWeek, “intangibles (such as employee satisfaction or good management) are inherently difficult to incorporate into traditional valuation models, which are principally based on accounting numbers,” Edmans notes in his paper. Social responsibility isn’t always easy to quantify, either. For example, “There are not that many performance metrics for workplace policies,” Paul Hilton, director of advanced equities research for SRI firm Calvert, told Miller-McCune.com. Worker safety records can be examined, he says, but many companies decline to provide data about turnover or diversity. That’s why Edmans chose to study the companies on Fortune’s yearly ranking of desirable workplaces. He lauds the methodology used by Fortune and its partner, the Great Place to Work Institute, which — rather than simply examining company policies — arrive at the ratings largely by surveying workers on their attitudes about trust, pride, camaraderie and the credibility of management in their organizations. In his research, Edmans compiled a portfolio of stocks of the publicly traded firms on the Fortune list for the period 1998-2005. He rebalanced the portfolio each February, after the early January publication of the annual rankings, to give the market time to incorporate into a company’s stock price any perceived link between employee satisfaction and shareholder value. 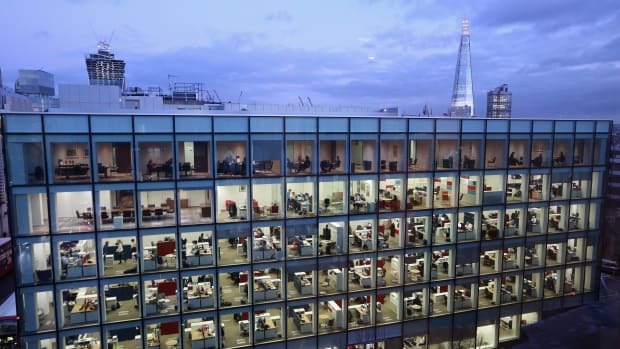 The portfolio of companies with desirable workplaces earned more than double the market return, which Edmans defined as the return on a value-weighted index of all stocks listed on the New York Stock Exchange, American Stock Exchange and the Nasdaq composite index; the Best Places to Work portfolio also outperformed industry benchmarks. Returns were measured by stock price appreciation and dividends. Edmans says the results support his hypothesis that the value of companies’ positive workplace policies was not adequately reflected in stock prices. Of course, Hilton and his firm are already committed to the concept of socially responsible investing, and companies included in Calvert’s SRI equity funds must meet minimum performance standards for a number of SRI screens — such as union relations, benefit programs and diversity policies for the workplace screen. Edmans emphasizes that his research provides data to support only SRI funds that use employee satisfaction as a screen. Nevertheless, he says, his results could potentially be generalized to other intangible factors. A company with proactive environmental policies, for example, may be “well placed for future regulations,” he theorizes — perhaps making it an attractive investment choice today. Hilton, pointing to the growing number of global institutional investors taking an interest in SRI funds, makes a similar prediction.